I’ve never used a reusable bubble bar before till I got this from the Lush Christmas items. I love the colour, the cute little bell on the ribbon and of course it smells like Snow Fairy which is one of my favourites. 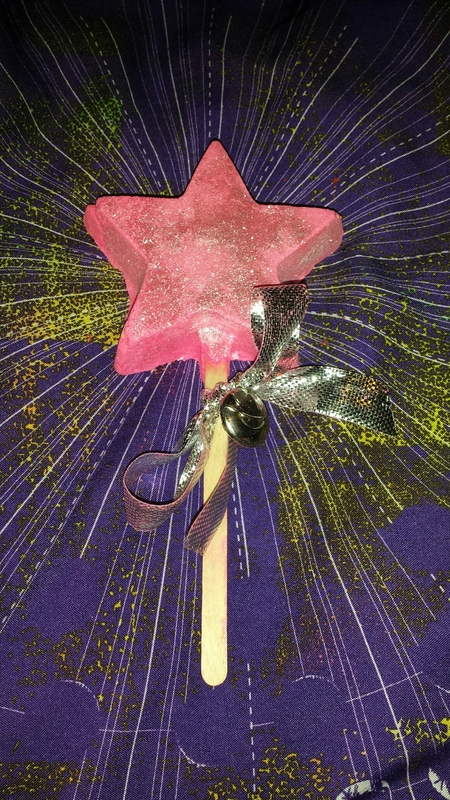 One swish of this wand under a running tap creates a lovely amount of sweet smelling bubbles. It turns the water a lovely light pink colour, with a little bit of sparkle from the sliver lustre which is on the outside. I used two swished to get extra bubbles as I like lots of bubbles. The bubbles were really softening as well, I find this with all lush bubble bars. This smells like Snow Fairy so you can combine it with everything snow fairy for an extra set bath or you can combine it with other scents, I enjoy lord of misrule with my snow fairy as the spicy goes well with the sweetness. I was going to take the bubble bar off the stick before I used it but I thought that I may damage it and it would last significantly longer by leaving it on the stick. I did however take the ribbon off as I didn’t want the bell to get rusty over time. These bubble wands seem to be a lot stronger than a traditional bubble bar. Which I didn’t think would be the case. I also thought that you would need a lot of it to get a good amount of bubbles but you don’t.